"Tango has three faces. Milonga is Tango's happy, playful face, quicker and more rhythmic than the part of the trinity known as 'Tango'. Vals is Tango in three time, the joyful one." The most popular music for Tango dancing is the music of the Golden Era which spans the 1930s to early 1950s, which roughly coincides with the American Big Band Era. The music has a rhythm that is reasonably regular and predictable which makes it ideal for dancing, and it contains different levels and layers of melody and rhythm that provide many opportunites for ornamenting and individual interpretation. 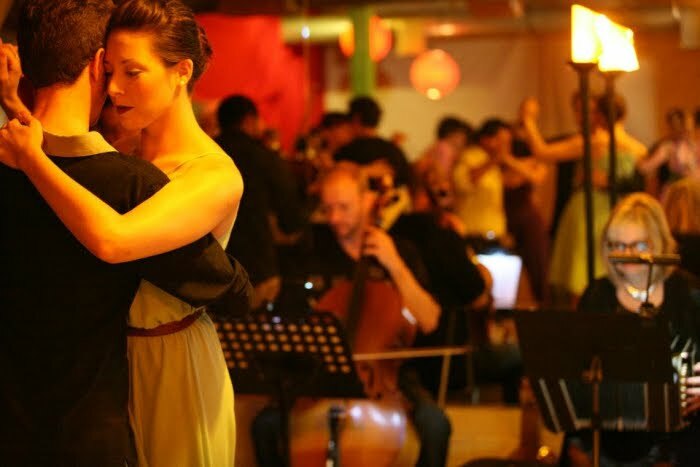 Tango music consists of the following three genres - Tango, Vals & Milonga. (note that 'Milonga' can refer to a place for Tango dancing or a musical genre). Each has a distinct mood and rhythm and all are played and danced at Milongas. Click here for a guide to tango music for dancers new to tango.